Fusion Advantage: Exterior The sleek 2016 Ford Fusion exterior offers clean lines and wide stance that convey power and agility. The Camry exterior was changed in 2015 and continues with familiar side and rear-end treatments. The Camry grille remains low to the ground, giving the front end a scooping effect. The 2016 Ford Fusion grille is distinctively prominent and crowned with an embedded Ford oval above it. Fusion Advantage: Technology The Camry offers a number of technologies that Fusion has had for quite sometime. 2016 Ford Fusion optional features not found on Camry are active grille shutters, active park assist, forward and reverse sensing systems, heated and cooled seats, heated steering wheel, inflatable rear outboard safety belts and SecuriCode invisible keypad. Fusion Advantage: Interior The Camry interior was modestly updated in 2015, adding a 4.2-inch display and a revised center stack. 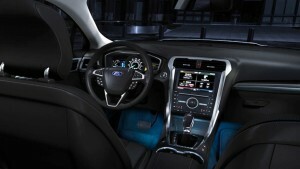 The 2016 Ford Fusion interior features well-crafted details throughout. The 2016 Ford Fusion has a high center console for driver comfort and clever storage. It also offers a choice of appearance and luxury equipment packages that allow Fusion drivers to make a personal statement. The Camry features “fixed” rear head restraints. The rear two-way adjustable head restraints on the 2016 Ford Fusion (outboard position) provide rear-seat passengers additional comfort. 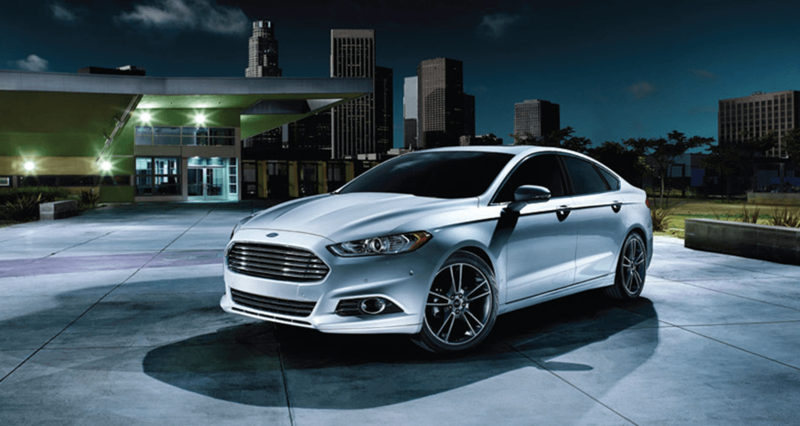 Fusion Performance: Choice is Better The 2016 Ford Fusion offers a choice of three gasoline engines, including two EcoBoost options. Camry does offer a hybrid powertrain; however, Fusion offers the plug-in hybrid Fusion Energi in addition to the Fusion Hybrid. The 2016 Ford Fusion also offers optional all-wheel drive; Camry does not. Speaking of Space Fusion and Camry are both mid-size sedans and share very similar interior dimensions; however, there are two key Fusion advantages to keep in mind: Fusion leg room is greater than Camry and the Fusion cargo volume is slightly greater than Camry. So there you have it! The 2016 Fusion is the hands-down winner over the Toyota Camry. Give us a call today to schedule your test drive of the 2016 Ford Fusion. We can have one ready and waiting for you upon your arrival, saving you time and money! Call us here at Beach Automotive at (843) 626-3666 now!